It’s time for bugs! 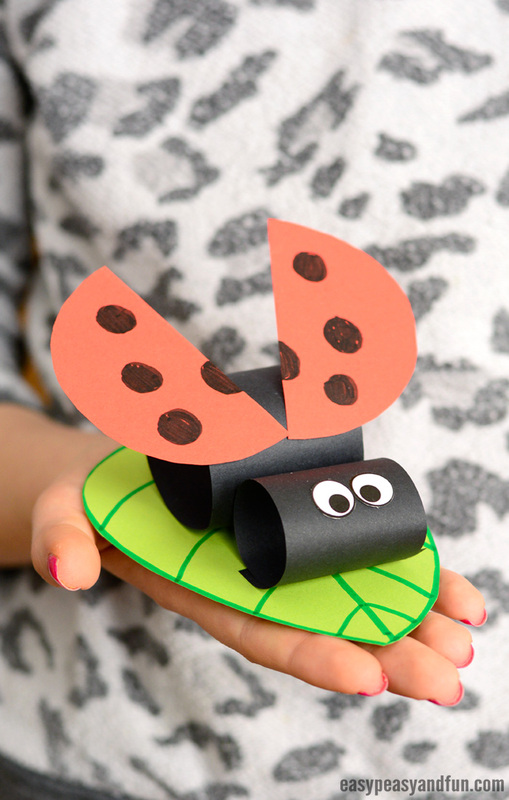 We do love making ladybugs and this construction paper ladybug on a leaf is our newest addition to all things ladybirds. 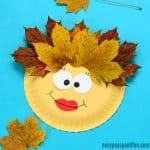 We made adorable little pom pom caterpillars on a leaf last year and they became super popular. The leaf works as a great stand for the craft and makes it easier for kids to take home (if done in the classroom) and have on display. 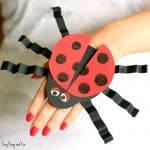 Bugs are a great spring crafting project for kids to make, these little crawlies are one of the favourite topics in preschool and kindergarten. While most preschoolers don’t have the skills to make this project on their own, older kids will be able to make it. 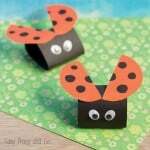 This ladybug craft is also a fun one for teachers to make as a decoration for their classroom (ladybug spring bulletin board anyone?). All in all a cute one for all ages! Ready to make your own? Lets start crafting! 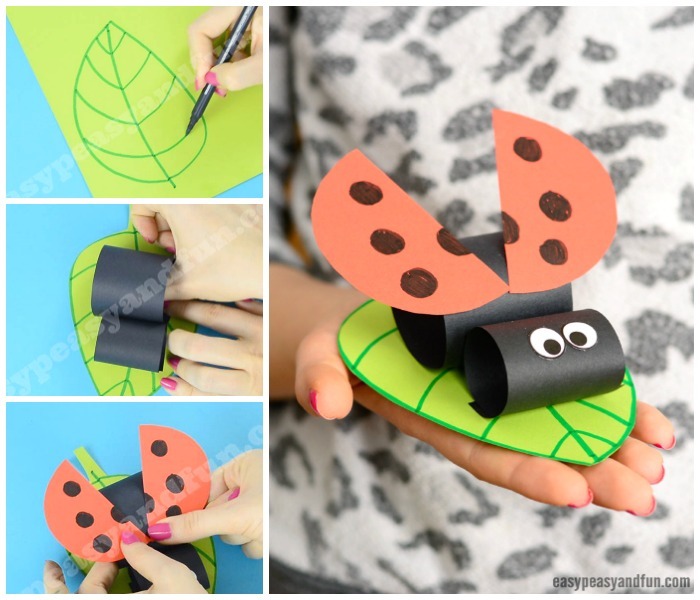 While working with construction paper is best, regular paper will be OK too for the ladybug part. 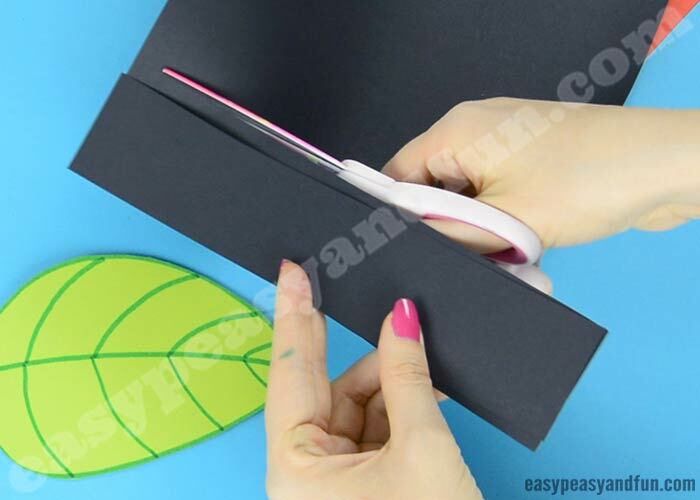 Leaf is best on construction paper. 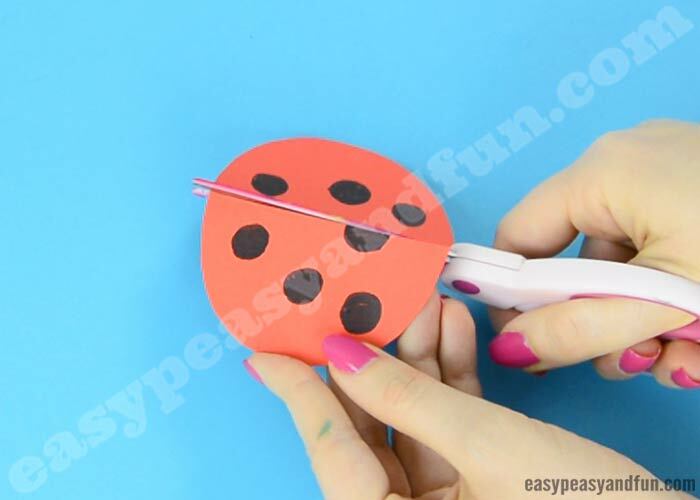 With younger kids, this step is best done in the end, when they already have their size of the ladybug as the leaf needs to be bigger than the ladybug. 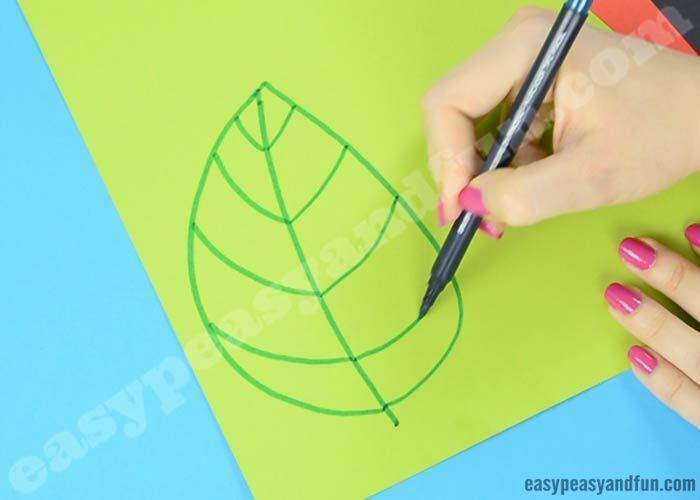 Older kids can start by drawing the leaf shape on the green construction paper. Be generous with the size :). 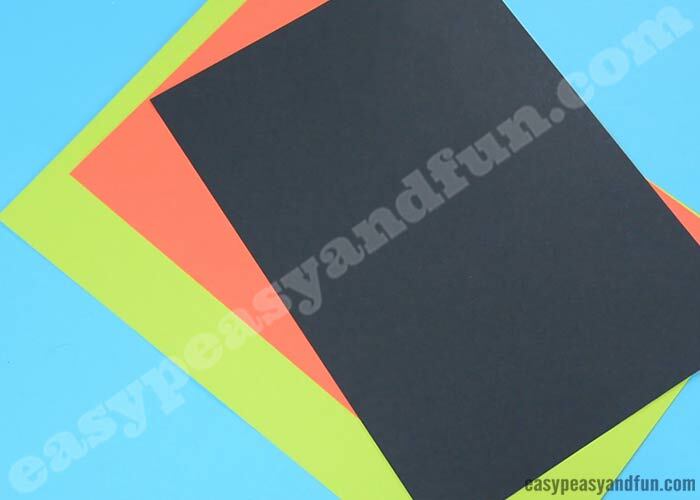 Cut two strips of black paper. One needs to be wider than the other. 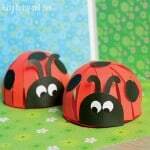 The wider one will be used for the body of the construction paper ladybug and the other for the head. 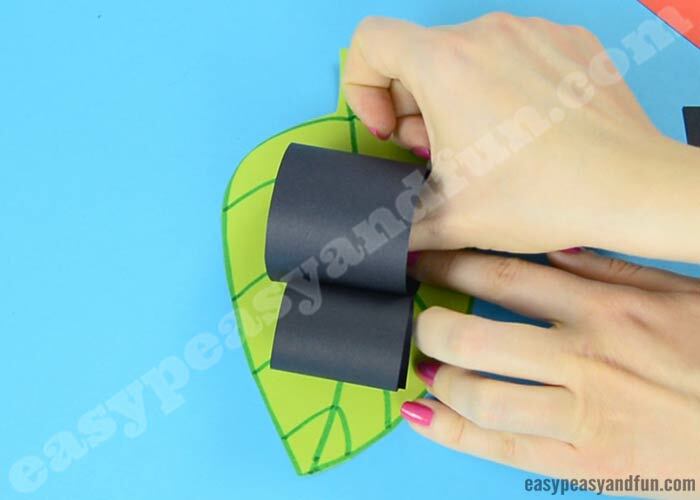 Roll together in a paper roll. 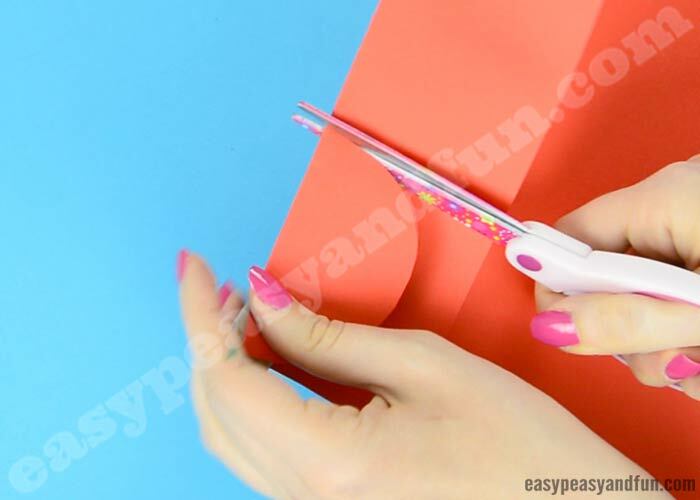 If you are not happy with the shape (if it’s too big), trim off a bit of paper. 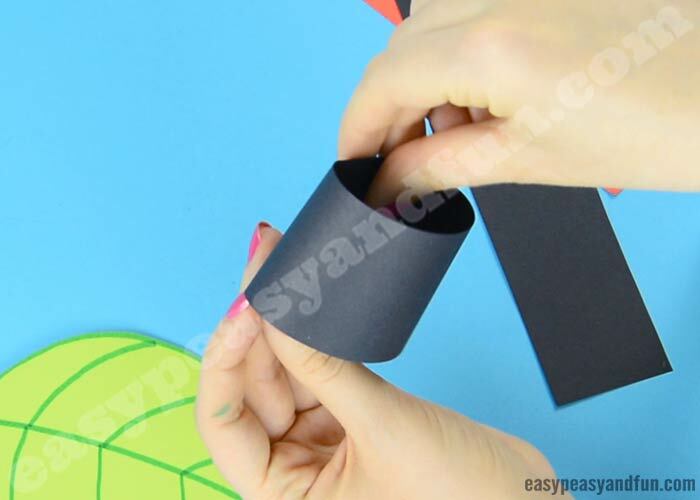 Glue the ends together to get a roll. 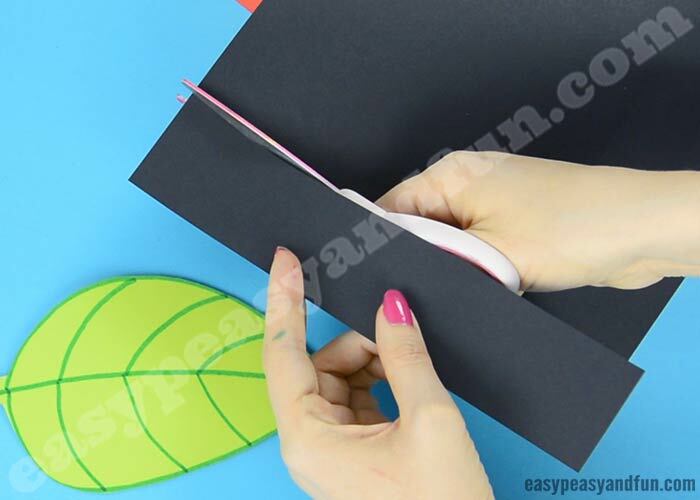 Do the same with the other strip of paper. 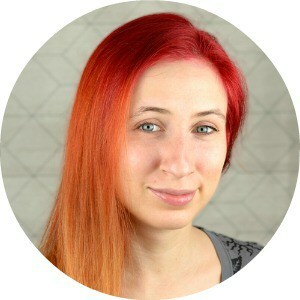 The wider strip of paper has to be bigger (bigger roll) than the other one, as the body is bigger than the head. 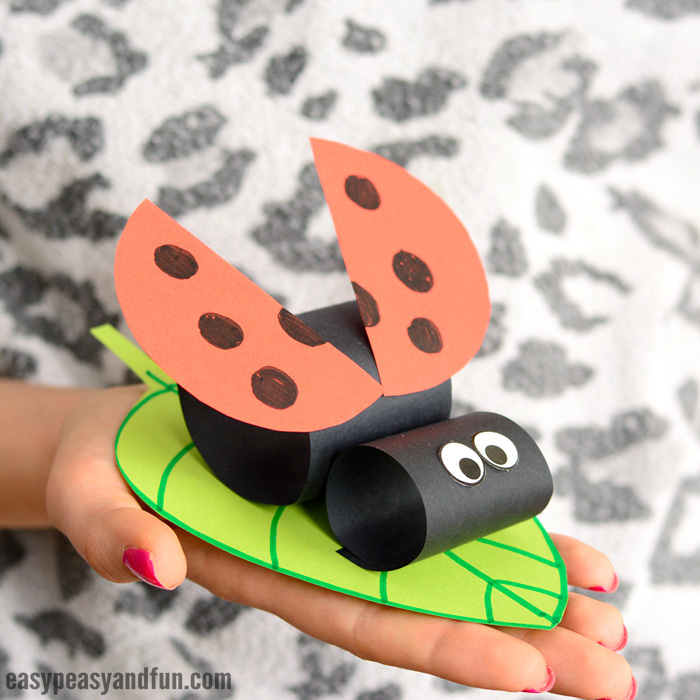 Glue both construction paper ladybug parts on the leaf, one next to the other. 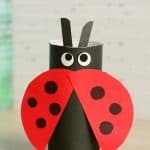 Stick on two wiggle eye stickers, googly eyes or eyes cut out of paper. 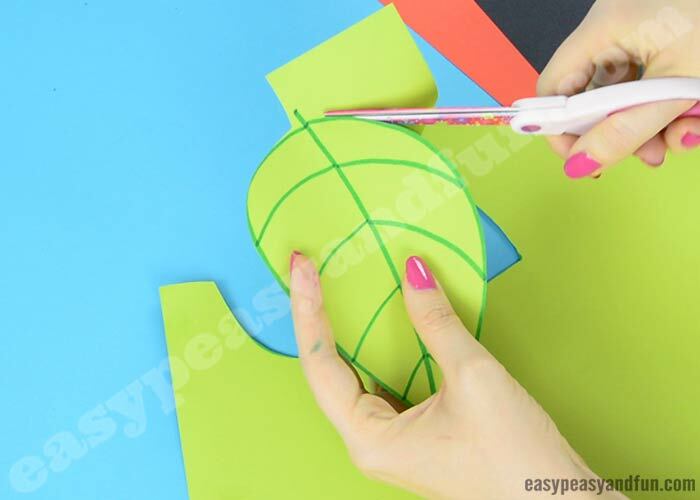 Cut out two half circles – or cut a circle and cut in half – do it however you find it easier. Draw spots on the circle or half cirles. If you haven’t yet, cut the red construction paper circle in half. 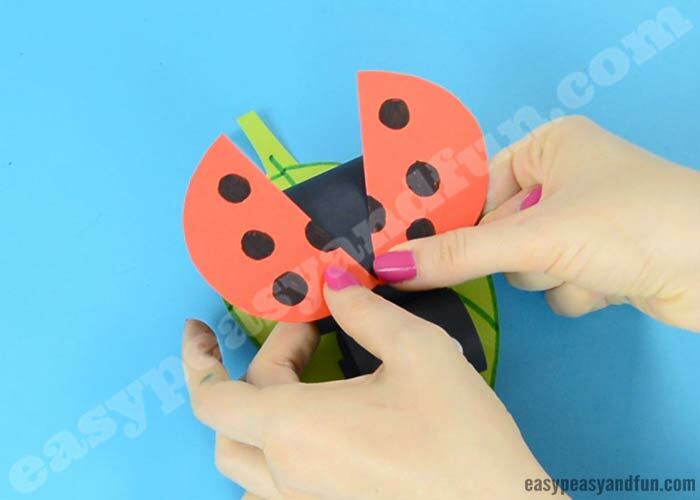 Glue the wings on the construction paper ladybug.